These cute-and-creepy cupcakes will inSPIDER you to get creative. 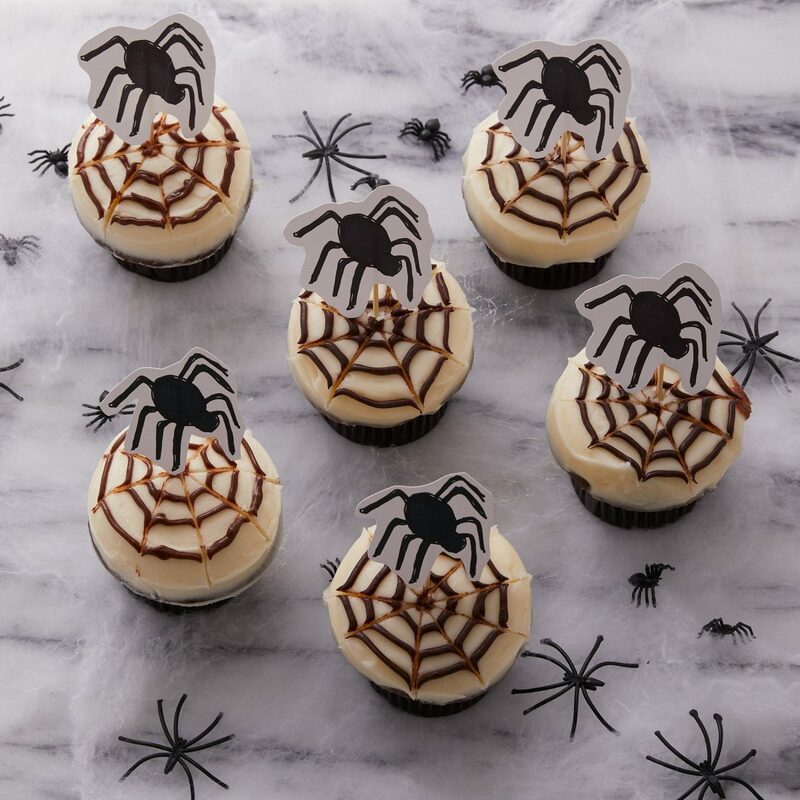 Pipe chocolate ganache onto vanilla frosting to spin the webs, and stick a spider topper into each cupcake. Go one step further and set them out on a tray covered in cobwebs and plastic spiders. Then sit back and watch as your Halloween party guests are lured into your webs. Step 1 Fill a piping bag (or a sandwich bag with one tiny corner snipped off as shown here) with ganache. Pipe a circle around the edge of cupcake. Step 2 Continue piping concentric circles onto cupcake until you have at least three. Finish with a dot of ganache in center. Step 3 Starting from the center dot of each cupcake, dip the tip of a toothpick into the icing and drag out to the edge, repeating until you make a spiderweb pattern. 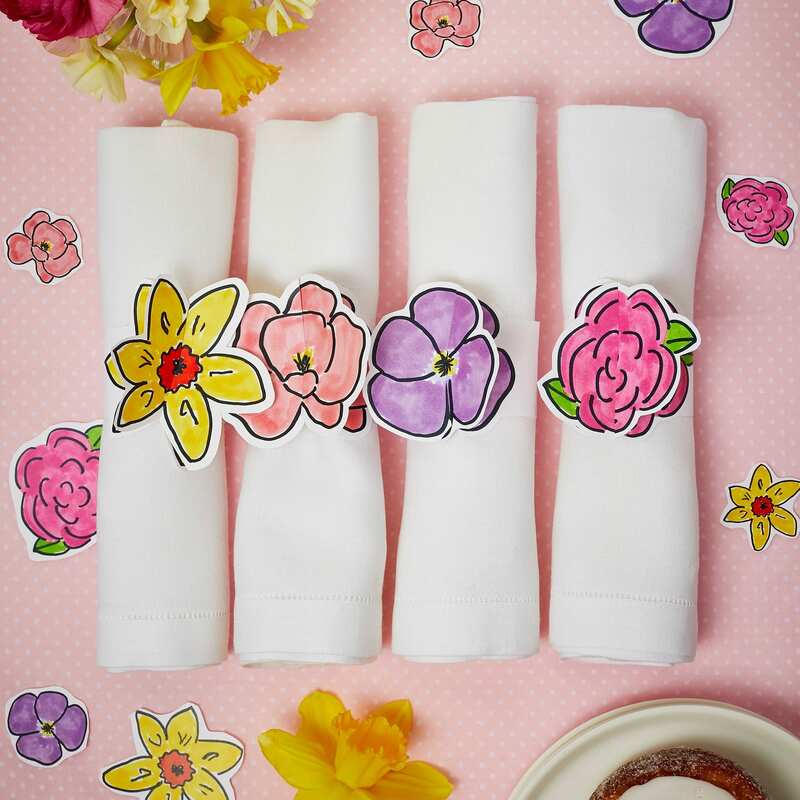 Make sure to wipe off toothpick between each stroke. Step 4 Download Spider Template, print onto cardstock, and cut out. 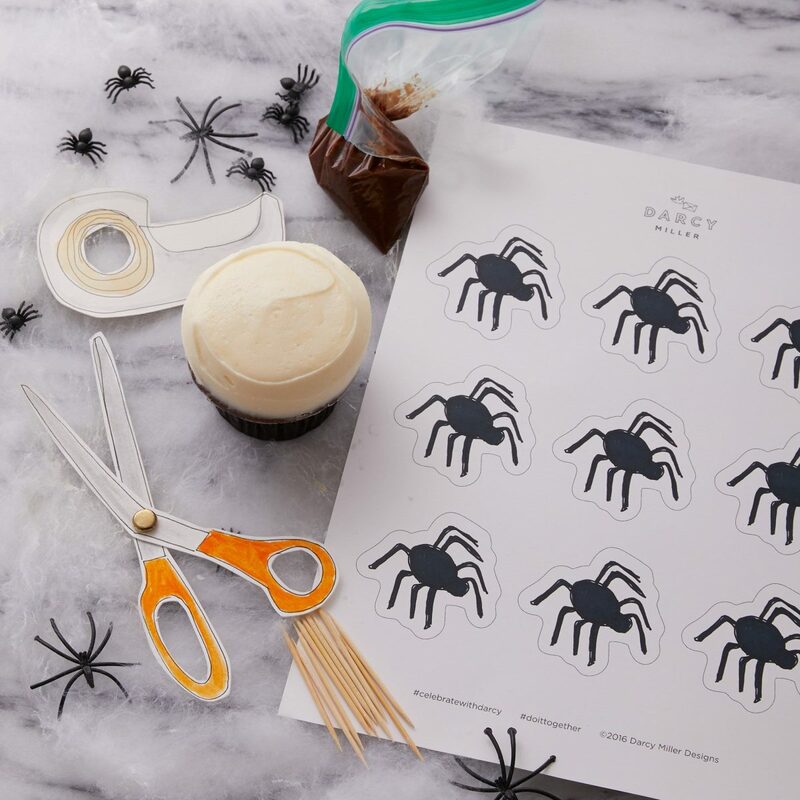 Tape spiders to toothpicks and stick into your web-covered cupcakes. Step 5 (Optional) Once you’ve finished with the cupcakes, arrange your arachnids into a dramatic display. 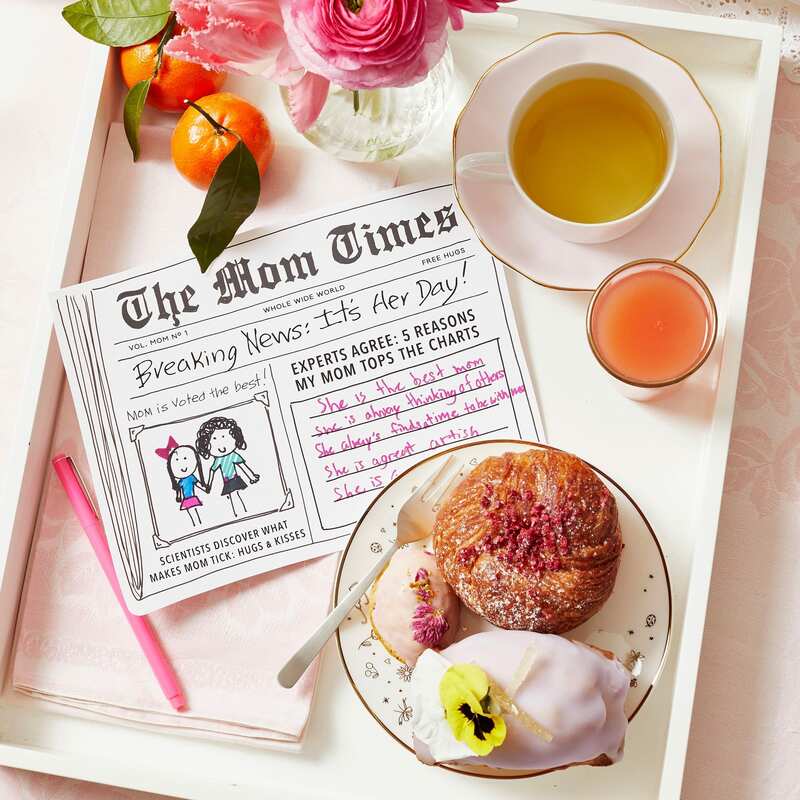 Stretch faux cobwebs over a serving tray or cake stand, decorate with plastic spiders, and set the cupcakes on top.